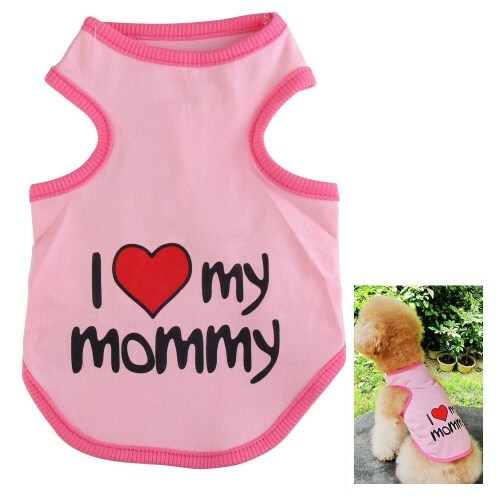 A small dog pink top with 'I love my mommy' design. This adorable, small pink dog coat is an absolutely perfect way to give your dog a bit of fashion and style of its own. A cuddly pink coat with "I love my Mommy" in black writing and "love" as a cute little red love heart shape. Fits onto your dog nice and easily with its stretchy, soft cotton material. A perfect way to keep your dog stylish while keeping it warm.